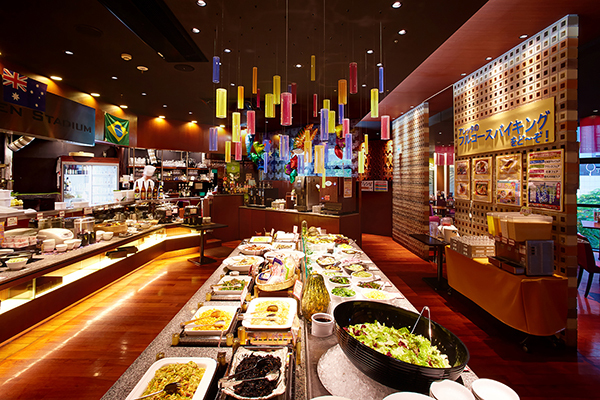 This family-style restaurant has a buffet service featuring over 70 dishes from around the world, including Western, Chinese, Japanese and Okinawan cuisines. Operated by the Rocore hotel, Aletta offers high-quality food at affordable prices. From appetizers and main courses to desserts, all dishes are carefully prepared in accordance with hotel standards. 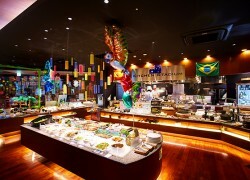 The buffet changes every month reflecting a different theme, always attracting customers with something new. *Prices in parentheses are for Sat, Sun and public holidays. *Free for children under 5.